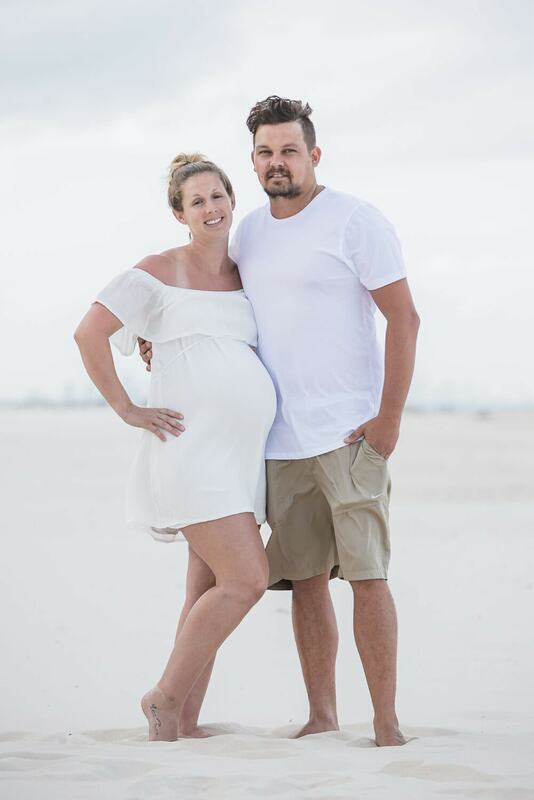 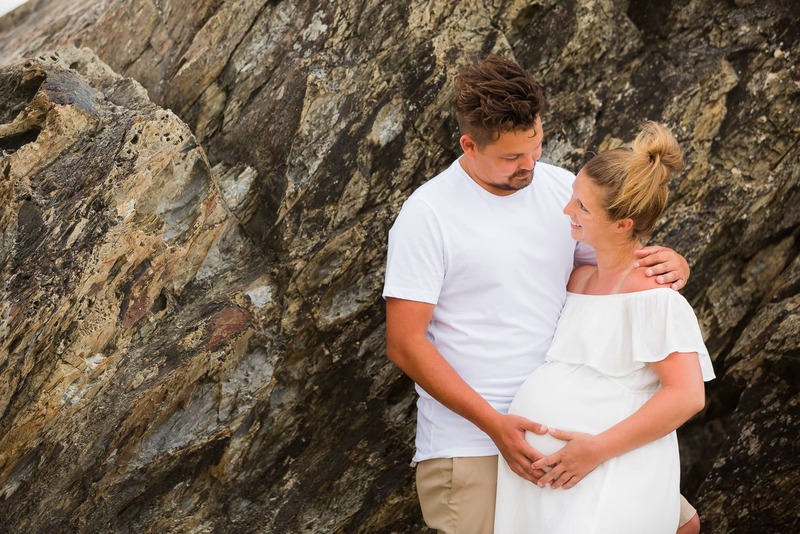 We were lucky enough for a very fun and casual maternity photography session on the Gold Coast at Currumbin Beach. The wind was blowing a good 20knts down on the beach and the clouds had just started to cover the sun. 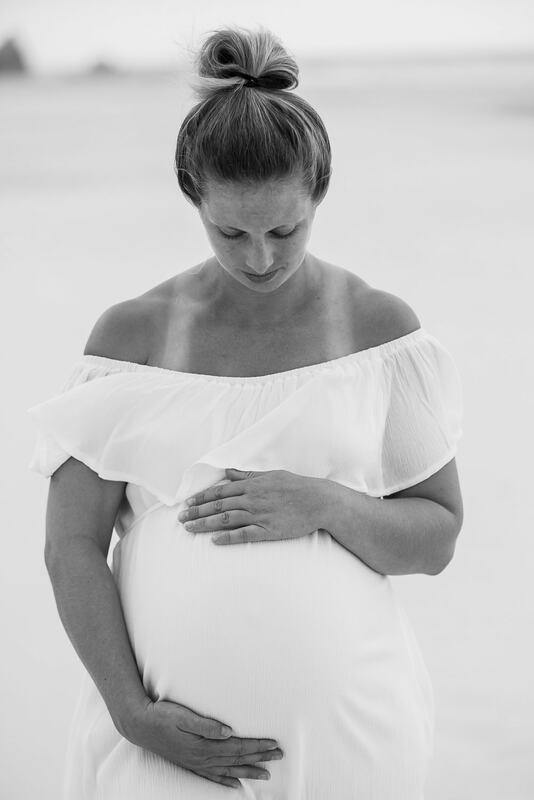 At first we really wanted the beautiful golden colours of the sun to appear through however these black and whites are nothing short of amazing! 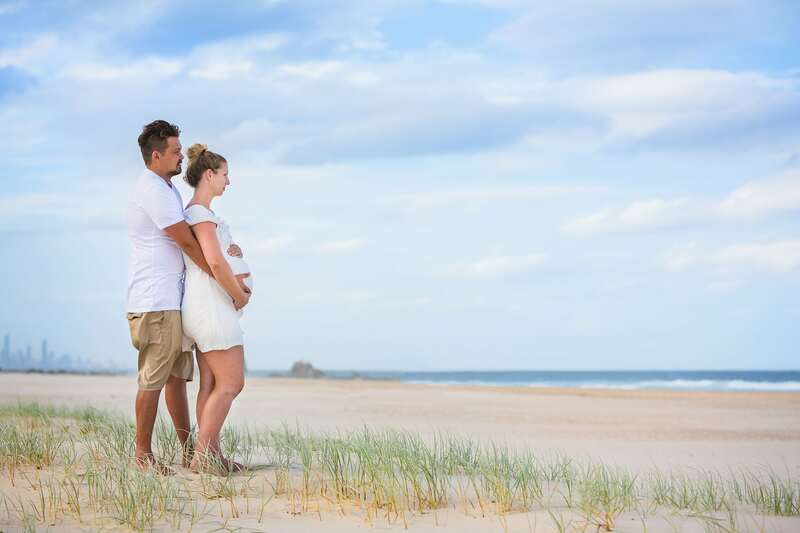 But for these two beach goers they were eager to have their photos taken and boy are we glad they did. 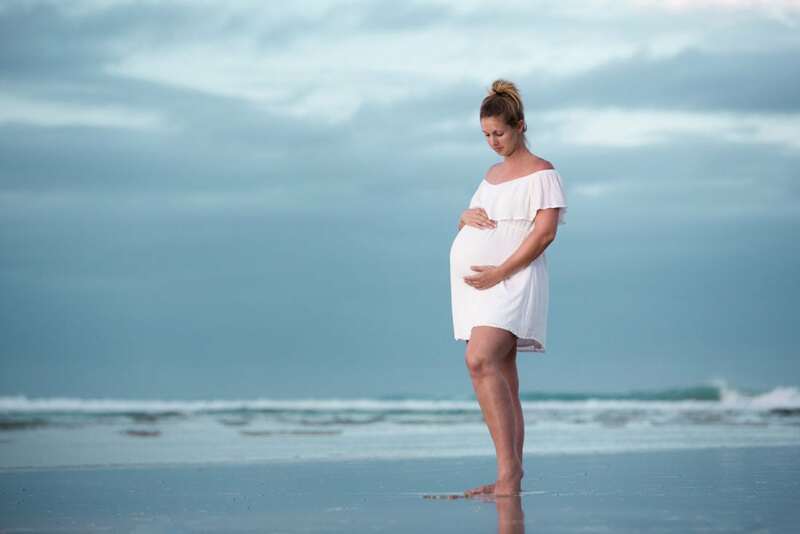 It was one of those afternoons where everything came together and for a few split moments the sun came out illuminating the sky and created a feeling of peace and harmony to their maternity photos. 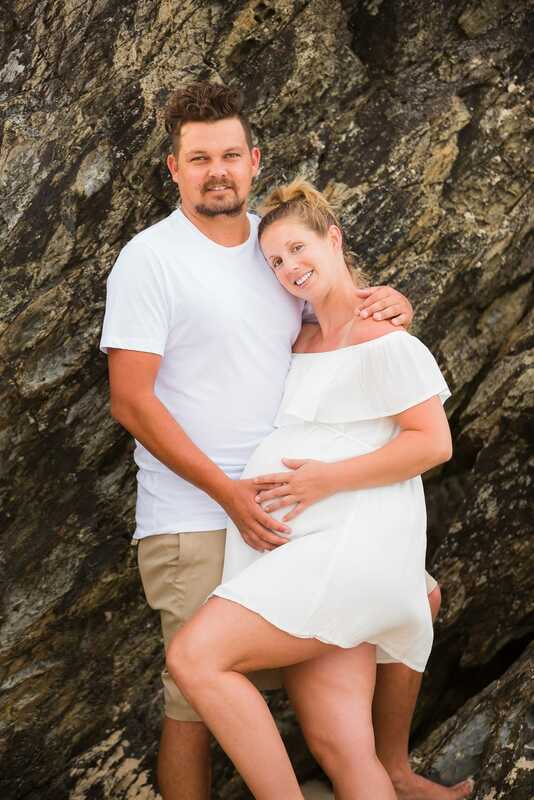 When Ben & Krystal booked our maternity session they were extremely relaxed and didn’t want anything to styled, they wanted to capture and document what their normal lives were like before their first born son who would arrive just weeks after this shoot.